A student in Kansas wrote this article as part of an assignment. LaxRecords.com offered to publish the article with the condition that the student's name is not released. The time to begin a new season in the LAKC is almost here. The offseason was tumultuous that marked the collapse of two programs, one of which in Blue Valley (Kan.) that reached the semi-finals last year. The Blue Valley District teams split into Blue Valley West (Kan.), Blue Valley Southwest (Kan.), and Blue Valley Eastside (Kan.). In other news, Shawnee Mission East (Kan.) is working to compete on a national stage with a tough out-of-town schedule that includes games against The Hill Academy II (Canada) and Memphis University School (Tenn.). The perennial powers still reign, but a loaded 2019 class elevates certain teams to championship contenders. When completing the rankings, there was a clear top tier, a difficult to distinguish midrange and a lower tier. The Lancers lost a group of seniors that were good players but great leaders. Their starting midfield was all seniors throughout the tournament last year, and seniors Zane Martin and Robbie Veglahn anchored the defense. After losing all of this how are they still Number 1? They have the best player to ever touch the field in Kansas City in Griffin Fries (Marquette). The Marquette commit dominated the summer circuit and returns for his senior campaign hoping to earn his third championship in four years. Also, the Lancers attack is completed by the dominant lefty First Team All-Metro selection, and Blue Chip recruit Cade Eldred (2021) and speedy Charles Boerger who potentially could have been MVP of LAKC Championship. The defense lead by All-Metro selection Joseph Mohr will be able to hold their own. At the X is the preseason Number 1 FOGO and Illinois Wesleyan commit Hank Breckenridge. Hank is the most technical FOGO in years. The Lancers weakness will be goalkeeping and midfield. Sophomore Zeke Johnson and junior Will Mohr along with seniors Jack Burkhead, Abe Laughlin, and Bob Kissick are the stable that coach Garrett will turn to. Stop sleeping on the Raiders. In 2018 The Raiders won the regular season. This team beat Blue Valley and went to Shawnee Mission East and wiped the floor with them before Fries and Eldred pulled out a miracle win. In 2018 they will be led by a dominant attack with the best dodger in the LAKC; Monmouth commitment Jack Staker. Staker will have the sharpshooter Peter Burditt on the wing. A talented group of young midfielders anchored by Nick Schmidt and Max Arnold will need to step up to replace Jack Ramza. Hank Newell (2021) will get in the mix early. The defense is terrifying. Manhattan-bound Quinn Brandmeyer is the most athletic player in the LAKC and Nathan Barewin is a lockdown defender who will play football for Pomona. Similar to East, Pembroke lost an incredible goalkeeper last year, but 2021 “Red” Perrin has been making waves through the fall and winter. Pembroke is a team built on finesse, aside from the close defense, size is not on their side. Pembroke's weakness is there is not much depth especially at the midfield. Pembroke is loaded and is a surefire team at UMKC in May. 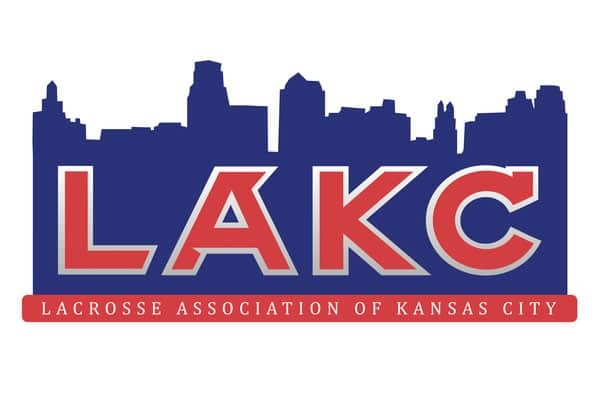 Rockhurst is consistently a top team in the LAKC. This team graduated All-American attackmen Brady Guck who had 87 points last year and ran the Rockhurst offense. This team is the same as last year, minus Guck. Under Armour Underclass All-American and a surefire Division-I prospect Mason Vasta (2020) will need to provide consistent scoring for Rockhurst to compete at the top level. The midfield is led by seniors Blake Hager and the toughest midfield/attackmen in KC Crosby Gassaway, both of whom have to fill the scoring deficit left behind by Guck. Tommy Eckles is the top LSM in the city right now. He may be the first four-time All-Metro selection. Simon Williams will be a top three D-pole in 2019 if he stays healthy. Joining Vasta at midfield is William Muehlbach who Coach Tim Reidy will lean on heavily whether he's ready or not to lead this storied school. Look for Williams and Danzo to hold down an extremely physical defense that dominated the fall ball circuit. Although, not as skillful as Pembroke, Rockhurst has a host of extremely athletic midfielders and attackmen that have the potential to run teams into the ground. Pembroke and East will both travel to Dasta Stadium this spring. East does not have a kind record at Rockhurst lifetime. Northland has been building towards this season for years. This team plays together incredibly well especially at the attack. 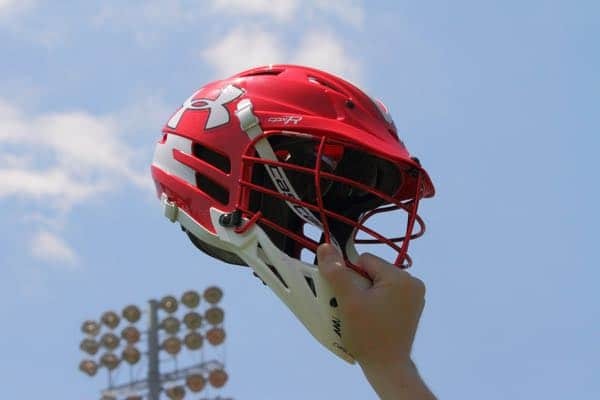 Rockhurst-bound Under Armour underclass All-Americans Jake Fisher, and Connor Jones are the best one-two punch at attack in Kansas City. Fisher is an incredible dodger and Jones has a rocket for a shot. Isaac Henn is the best all-around midfielder in the league. He is unbelievable at the faceoff X, an excellent dodger and a lockdown defender. The defense has strong senior leadership with Bryce Rigden and Charles Duffy. This team is poised to make a deep run in May. Northland will have an excellent year, and with what they are doing in the youth lacrosse will have an excellent team for years to come. Coach Scotty is rolling dice early as he scheduled Shawnee Mission East in the opener. Blue Valley West comes into 2019 with a loaded roster on paper. Goalie Blake Martin (2020) will be one of the best goalies ever to come out of Kansas City. His recruiting stock is hot this winter. Jack Mahony (Whittier) is the hardest hitting and nastiest pole in LAKC. All-Metro transfer & Rock U commit Garrett Wilson brings a swag and finesse that this defense lacked in 2018. At midfield, Rowland (Limestone) and Hicks (2021) are the grinders. Physically this midfield is big and athletic. If there were a league MVP this fall, it would have been midfielder Ryan Locke. The kid had D-middies on roller skates as he scored at will. Powell goes to attack for the Jags. Coach Powell is one of the most dynamic feeders in the state when he turns it on. If this team can get focused they could be dangerous in late April, early May. LSW comes into 2019 led by their best defensive unit in years. Ben Brookshire (2019) is a two-time All-Metro player. Coming on strong late last year is D-I commit Joey Bass who will attend Hampton. Bass brings the athleticism the Titans need to make a run this spring. BVSW starts year one under Head Coach Ken Petersen. This team is loaded on offense. At the X is Logan Baldacci (2020). Baldacci is one of the top faceoff specialists in the midwest. Nate Adamson (2020) and Rockhurst commit JP Tymosko will run the midfield. Adamson and Tymosko are probably two of the most athletic players in Kansas at any sport. Both do things on the field that will drop your jaw. 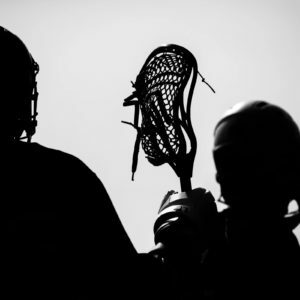 At attack, All-Metro crease attackman Mason Petersen returns. Petersen finds the net wherever you put him. On the left is one of the top 2021s in Kansas City in Luke Jones. Defense and depth seem to be the problem in 2019 for the Timberwolves. Mill Valley will have some studs in 2019. Big time Rock U commit Jake Fischella is back for a final run in 2019. Mill Valley looks for production from sniper Ethan Mantel (2020). Thompson, Heurter return as well in 2019. STA takes the field with a top-notch goalie in Aidan Waters Staley. Mason Ross leads the team at midfield. This is STA they will be extremely athletic and coachable. BV Eastside looks to pick up the pieces after a split from BVSW. Eastside has acquired Blue Valley North. In Acquiring BVN they receive Westminster commit Jacob Parks. When he puts it all together, Parks is one of the most college-ready midfielders in the game. Campbell Collins and Eryk Yarkosky will come to play in 2019. Cooper Collins will be in between the pipes. Preseason ranked 11; however, this team has a new fiery coach and talent to run deep into playoffs if they buy in. Jake Setley (Rockhurst) is a Top 2 LSM in the league. Luke Ludwikoski will run the midfield top-to-bottom. The Hawks need to get production out of attacker Shane Dorian (2021). Defensemen Luke Saint Pierre and Sam Conger. Lee Summit is a well-coached, disciplined team that will rely heavily on its attack unit. Usually, LS has a top-notch FOGO that keeps them in game. If this team gets a bit more offensive production in 2019, they can do well. The Patriots are lead by Saint Marys commit Isiah Hawkins. Scorer Myles Tuttle joins him. The two of them together could carry the Patriots in 2019. After an inaugural 2018 season, Lawrence is back. This team is big strong and athletic. What they lack in Lacrosse IQ however should be able to make up with athletes.